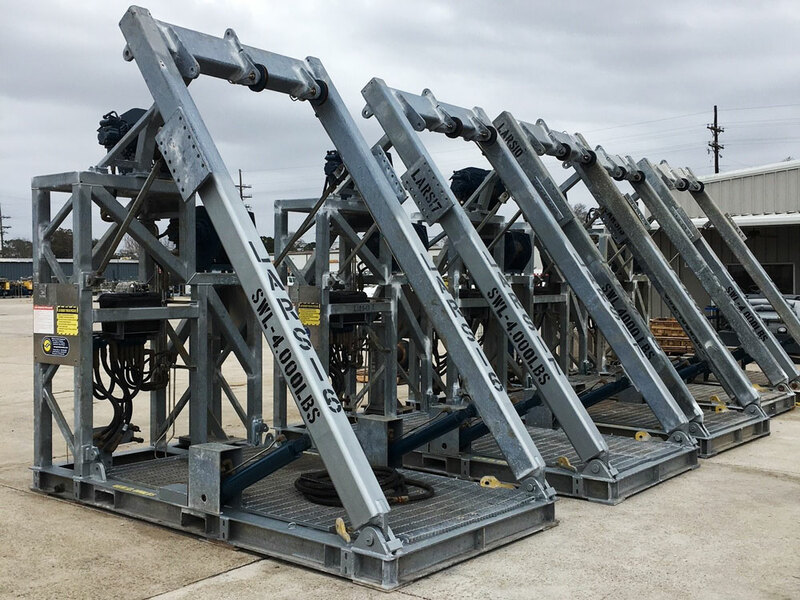 Launch and Recovery Systems (LARS) are a self-contained, skid mounted unit engineered to safely deploy by allowing diving operations to be conducted from fixed or mobile and dynamically positioned (DP) vessels platforms. 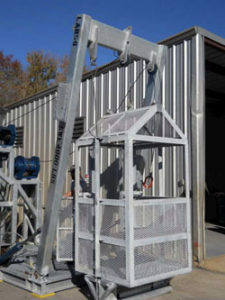 Overall Shipping Height - 11'3"
Optional power sheave hanger which can be mounted on either side. Optional power sheave control mounted onto the control value of the winches for user friendly operation. Lifting pad eyes that have been loaded tested and magnetically particle inspected for defects. Safety override clump weights for main winch failure.